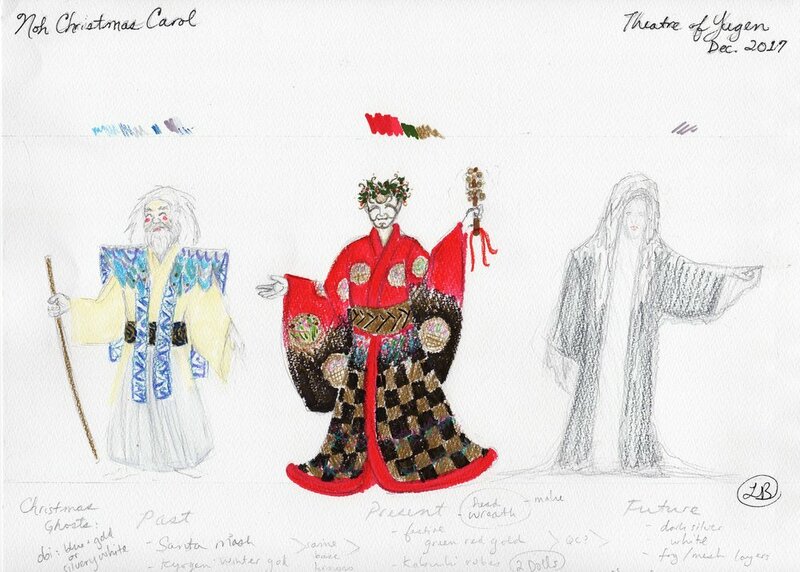 The costumes I created for A Noh Christmas Carol were inspired by Meiji Era Japan. At the turn of the last century, when Japan emerged from a long period of isolationism and began to trade with the outside world, European dress become more common. In my research of existing photos and fashion plates from that time, I observed that there was not a mix of European and Japanese clothing. For most individuals, it seemed to be a style choice of either one or the other. 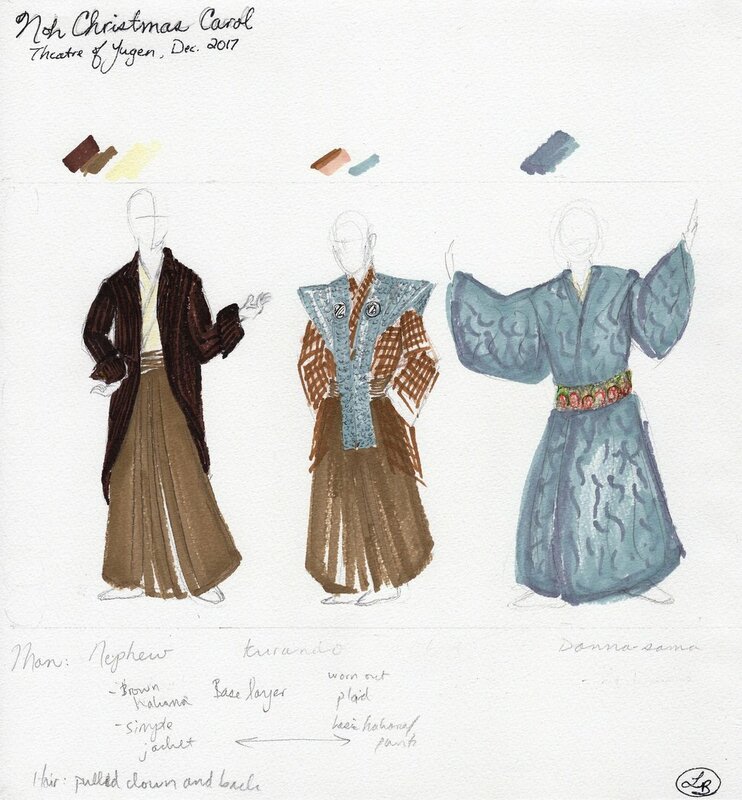 For our production, we took the liberty of blurring the lines between traditional Japanese fashion and Victorian accent pieces, just as we were bringing together the worlds of Dickens and noh, kyōgen, kabuki, and the avant-garde dance form Butoh. Thus, this was not a historically accurate world, but rather an allegorical dream-world, where the lines of fashion, gender, objects and humans were not fixed and where you could hear both the bells of Japanese temples and Victorian England ringing in the distance. Much thanks to our Kickstarter supporters, patrons, and enthusiastic audience members! 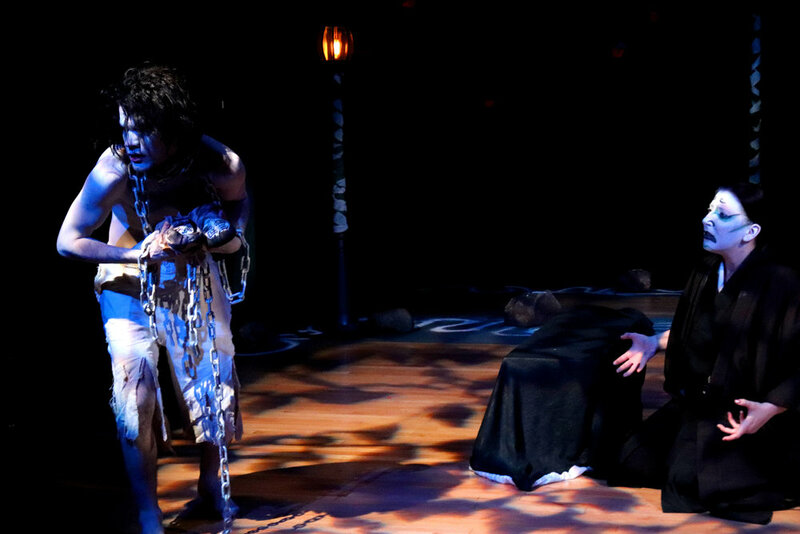 "First adapted by Theatre of Yugen and directed and choreographed by Yuriko Doi in 1993, this production takes Dickens’ beloved tale and transports it into late 19th century Japan. The story follows a kabuki-inspired Sukurooji Ebezo through his harrowing night of Christmases Past, Present, and Yet-To-Come, utilizing kyogen, noh, kabuki, and even butoh to create a multifaceted world that reminds us that Christmas is a time for love, family, community, and wonder. This production was dedicated to our dear friend and fellow artist, Eric Rich. May he rest in peace."